Symptomatic fibroids have traditionally been treated with a hysterectomy or myomectomy, both invasive, surgical procedures with long recovery times. A normal hysterectomy or myomectomy, with no complications, can cost up to $42,619 according to a recent article published in the American Journal of Gynecologists (AJOG). 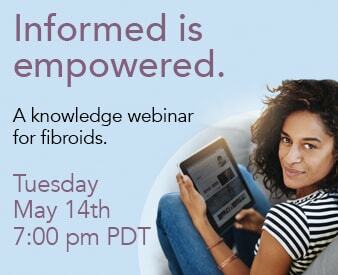 In addition, it is a huge cost that 40% of women in the US must face when being diagnosed with fibroids and a cost that can have a serious effect on US health care costs and insurance rates. A more recent article in the AJOG states that uterine fibroids are a significant economic drain on the U.S. health care system, costing anywhere from $5.9 billion to $34.4 billion a year, according to a new report. The costs, according to the study, stem largely from lost work and disability. Uterine Fibroid Embolization (UFE), is a cost effective alternative to hysterectomy and myomectomy. When comparing hysterectomy, myomectomy and UFE, an article in the American Journal of Gynecology found that UFE costs 12% less than a hysterectomy and 8% less than a myomectomy. The numbers may prove even greater when considering both direct medical costs as well as hidden costs of the fibroid treatment process. Whereas most procedures take away time from family and work due to longer recovery periods of up to 6 weeks, UFE limits recovery time to no more than one week, allowing the patient to get back to their daily activities much quicker – including their jobs. 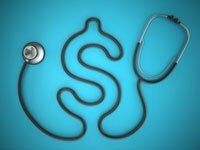 The actual cost of embolization differs based upon prices set by individual physicians and coverage by way of various insurance providers. Because of these variations, it is not possible to provide a fixed cost for the embolization procedure. However, all insurance providers generally accept the cost of UAE (Uterine Artery Embolization). To learn more about UFE and whether it’s the right choice for you, please call 866-362-6463. One of our health professionals will be able to answer your questions regarding UFE and can do a quick insurance verification check if you are wondering whether UFE is covered under your insurance provider.